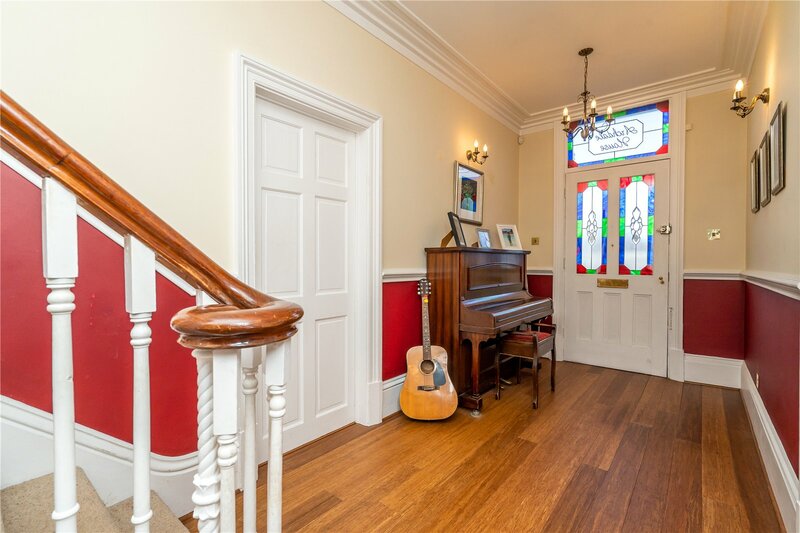 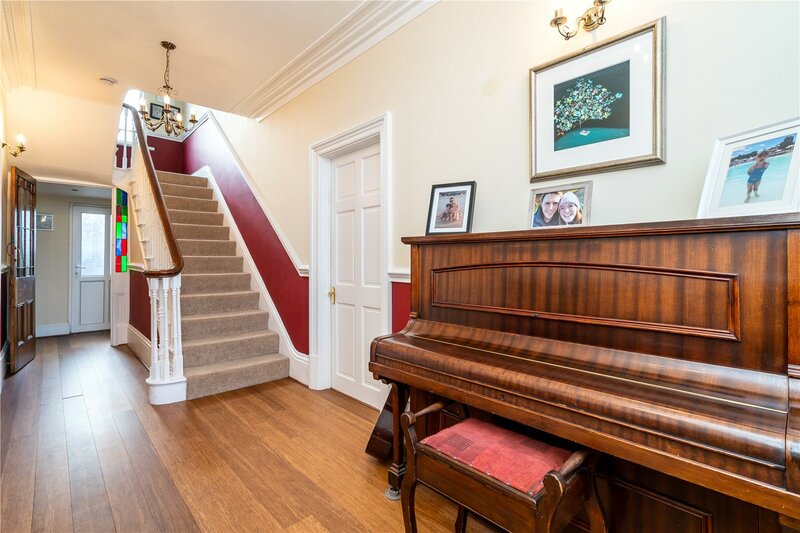 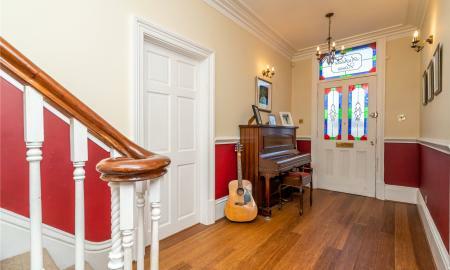 A large traditional paneled door with stained glass windows welcomes you into this impressive space, timber flooring, wall lighting and ceiling chandeliers, coving to ceiling and dado railing and a grand staircase rising to first floor. 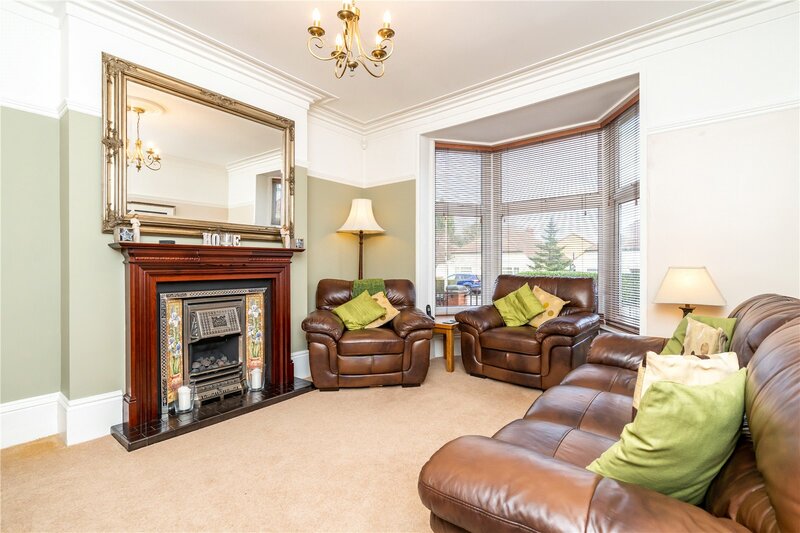 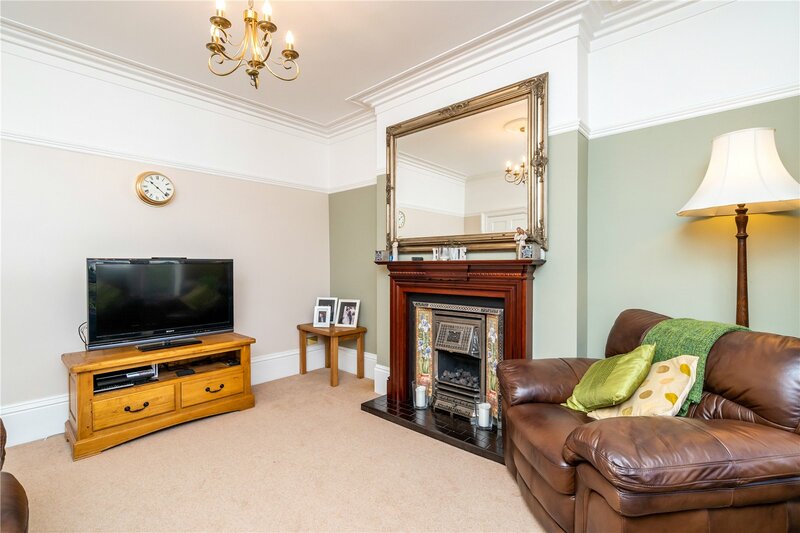 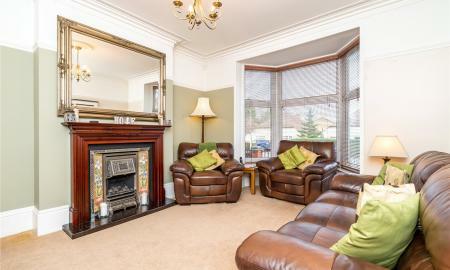 A well-proportioned living room that benefits from a gas fuelled fireplace, ceiling rose, coving to ceiling, dado rails, UPVC double glazed bay window to the front aspect. 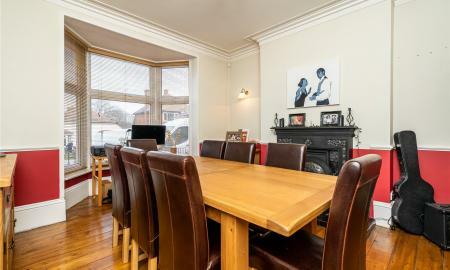 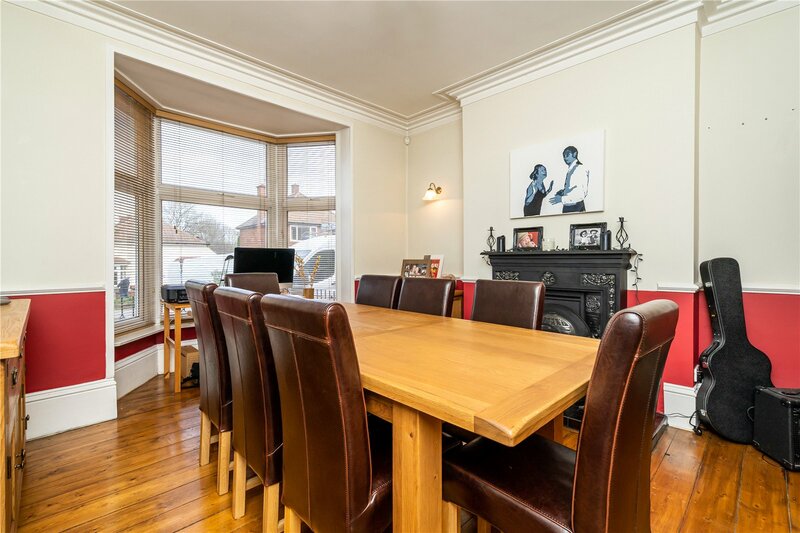 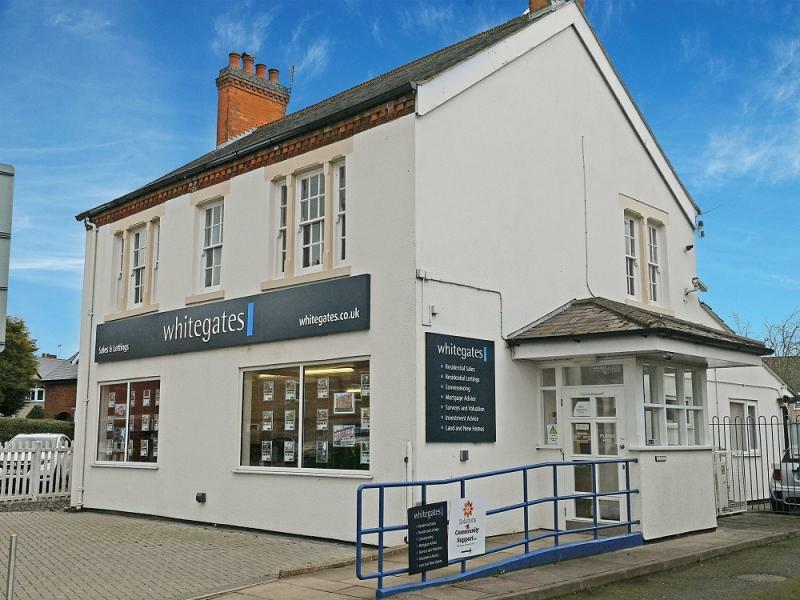 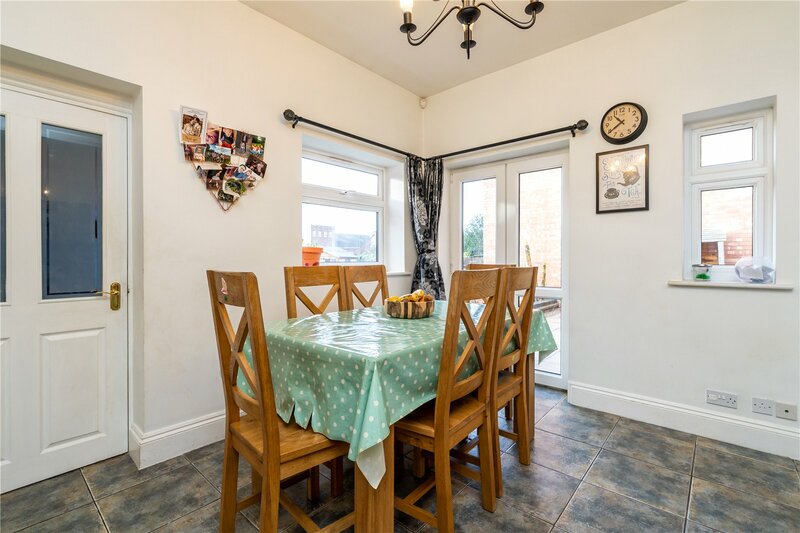 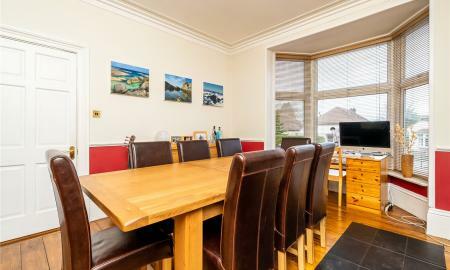 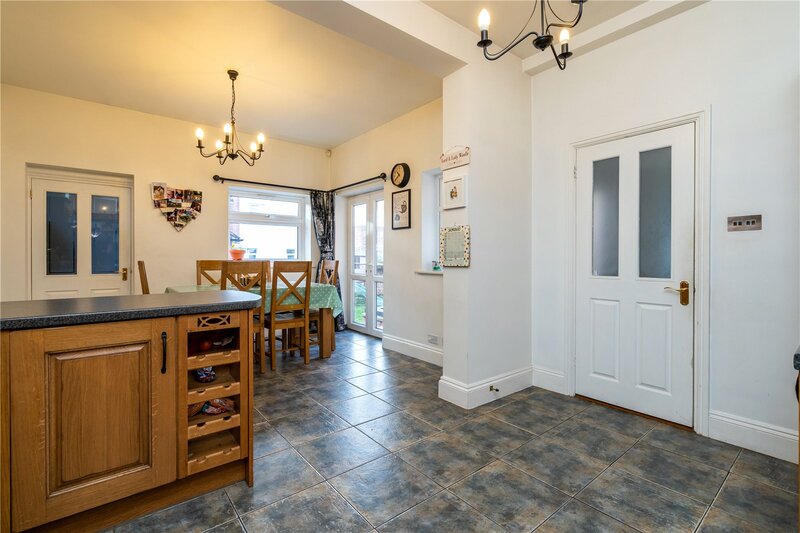 A large dining room that currently accommodates a large eight seater dining set (not included in sale), timber flooring, coving to ceiling, dado rail, UPVC double glazed bay window and a stunning gas fireplace. 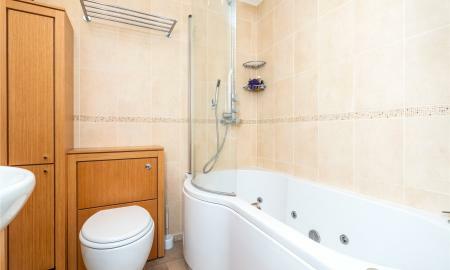 Fitted with a two piece suite comprising of low level WC and wash hand basin. 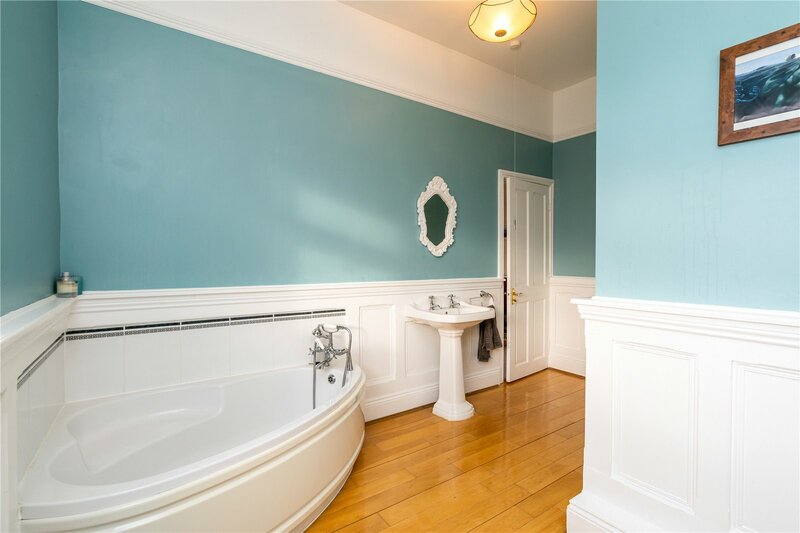 The WC is furnished with wooden paneling to the walls and a quarry tiled floor. 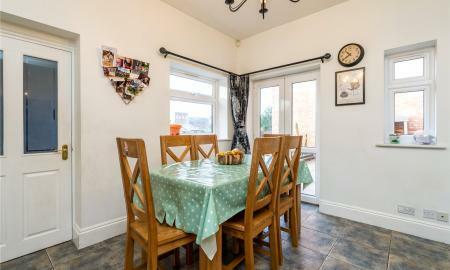 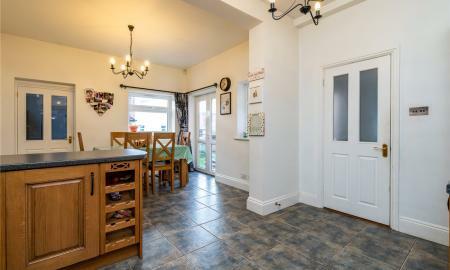 Access to Kitchen Diner, Family Room and UPVC door to rear garden. There is also access to the cellar. 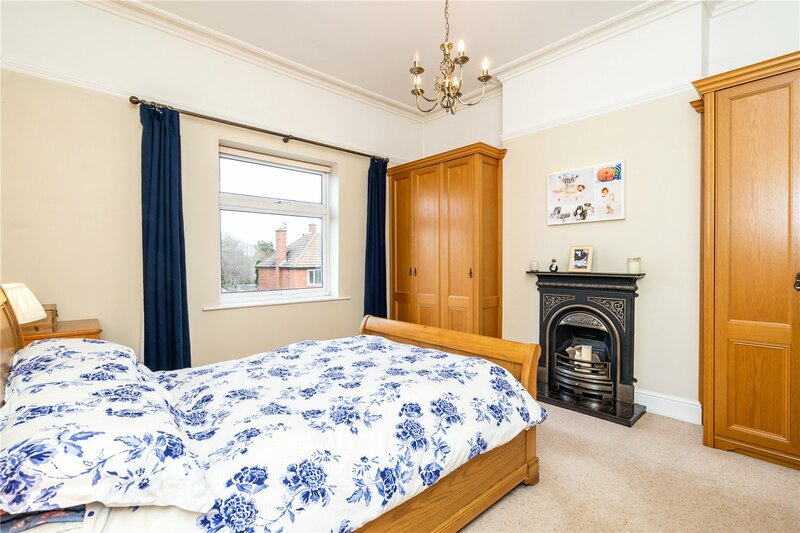 Currently used a snug which features a log burner and a set of UPVC double glazed French doors leading out to the rear garden. 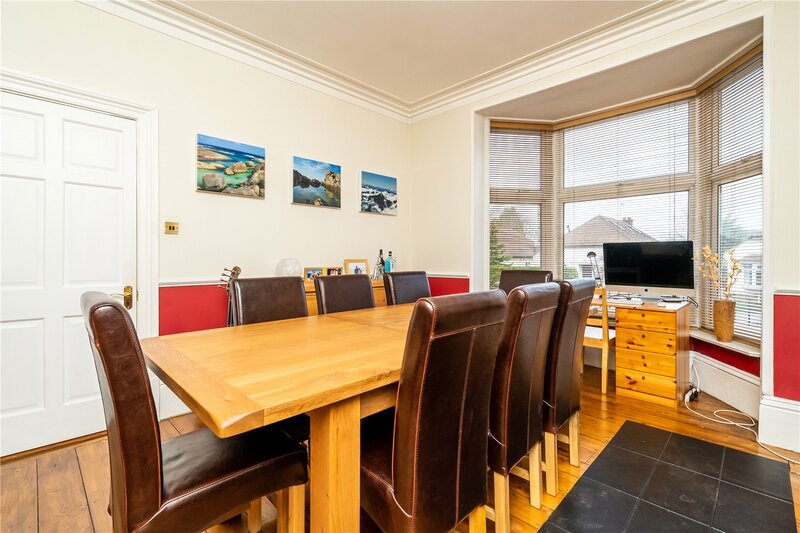 A superb space for everyday living and entertaining. 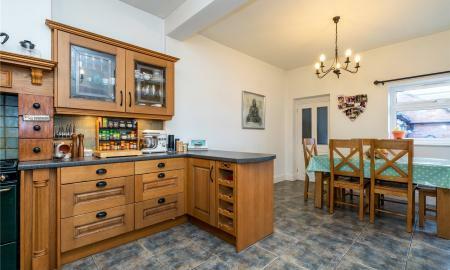 The kitchen is fitted with a vast range of base and eye level timber units, Belfast sink with granite surround and drainer, tiled splashbacks range cooker, concealed extractor hood, integrated Hoover dishwasher, integrated fridge / freezer, tiled flooring which is heated through the mains gas central heating system, UPVC double glazed window to rear and side aspects and a set of French doors leading out to the garden. 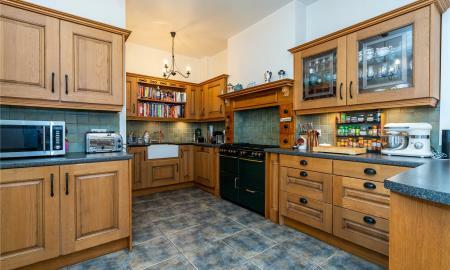 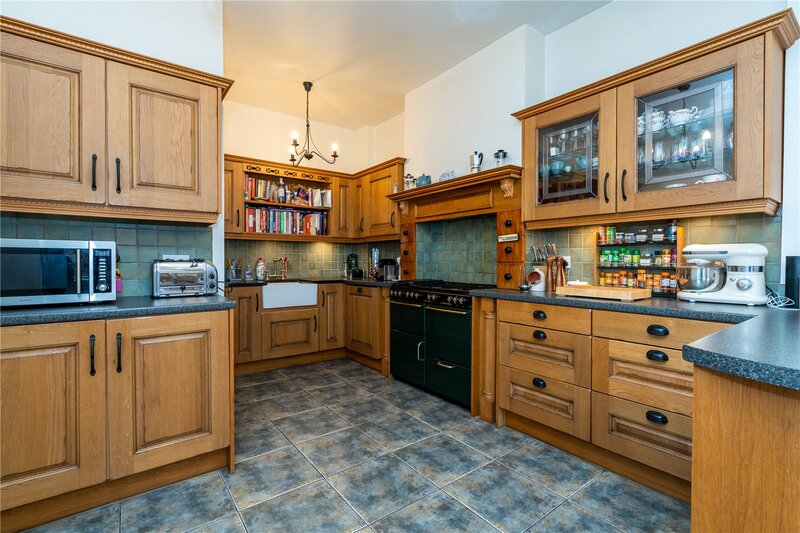 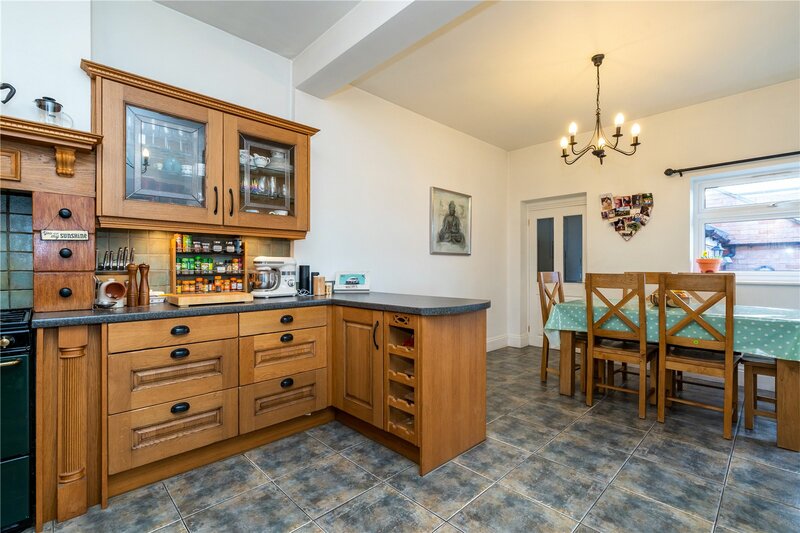 A useful amenity space which benefits from tiled flooring, door to rear garden, UPVC double glazed window looking out to the garden, there is a stainless steel sink, space and plumbing for washing machine and dryer and access to the rear storage unit. 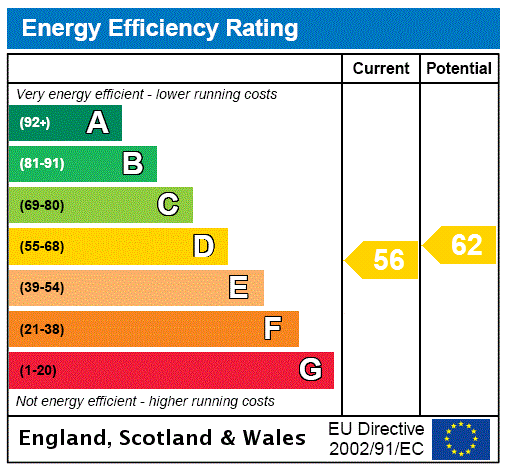 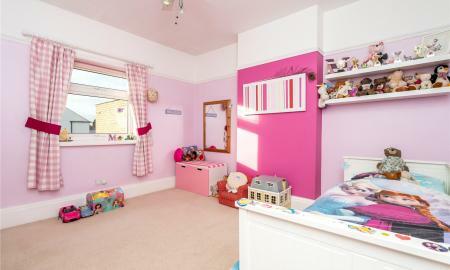 The storage unit has UPVC double glazed French doors with obscure glazing and benefits from both power and light. 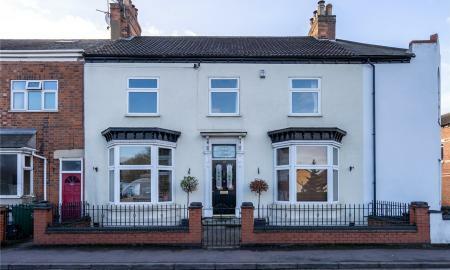 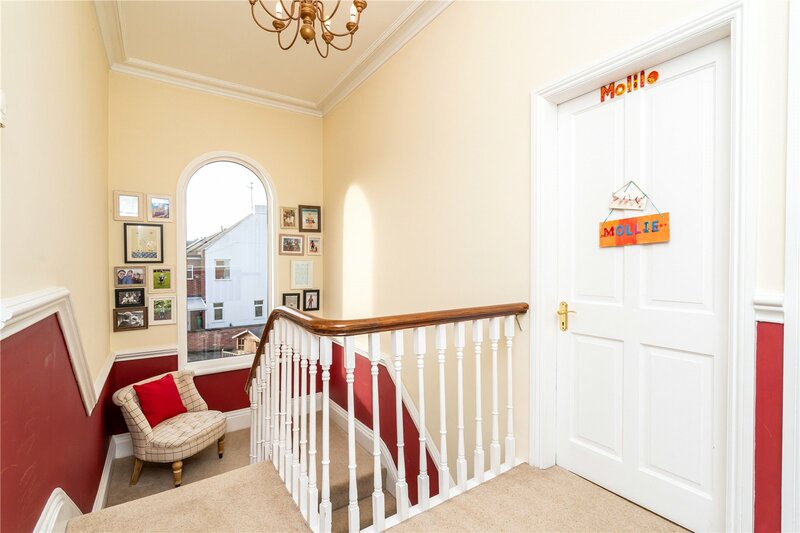 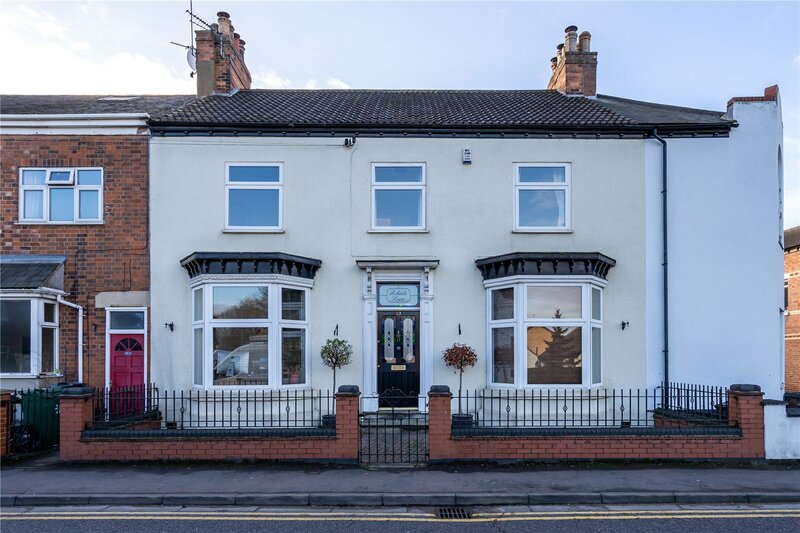 This grand landing welcomes you with a large UPVC arched window with views over the garden and rear aspect of the property. 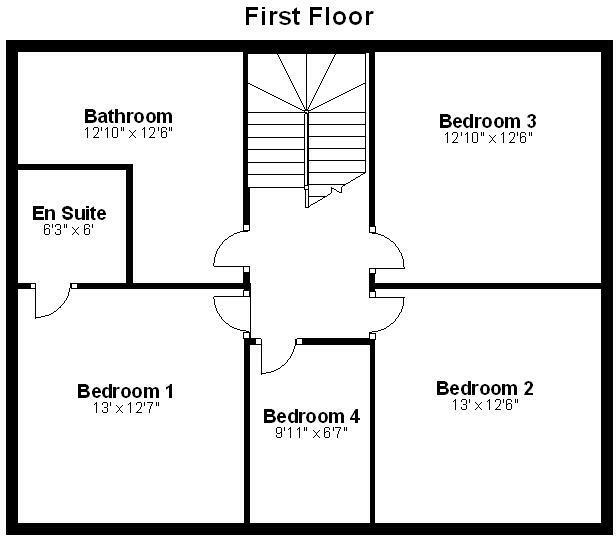 The landing provides access to all bedrooms and the main bathroom. 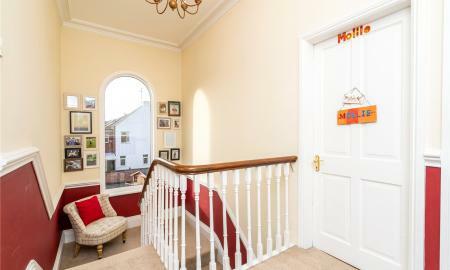 The landing is part galleried and is currently used a seating area. 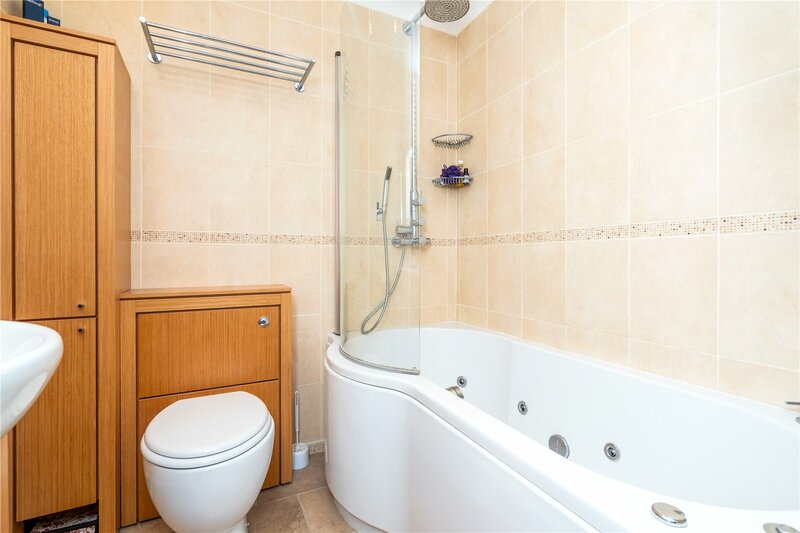 A three piece suite consisting of Jacuzzi bath with monsoon shower over, glazed shower screen, tiled walls and floor, low level WC, vanity sink unit, heated towel rail and inset halogen lighting. 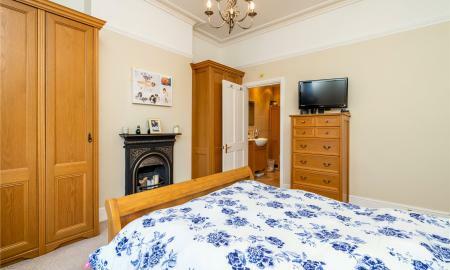 A double bedroom with dado rail, picture rails, ceiling rose and pendant lighting and UPVC double glazed window to front aspect. 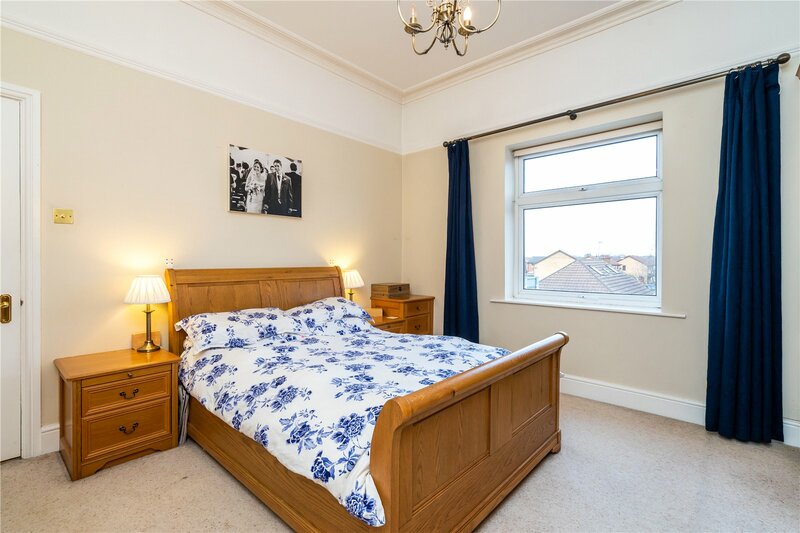 This double bedroom benefits from high ceilings, a UPVC double glazed window with view to rear aspect, access to attic space, picture rail, ceiling light fitting with integrated cooling fan. 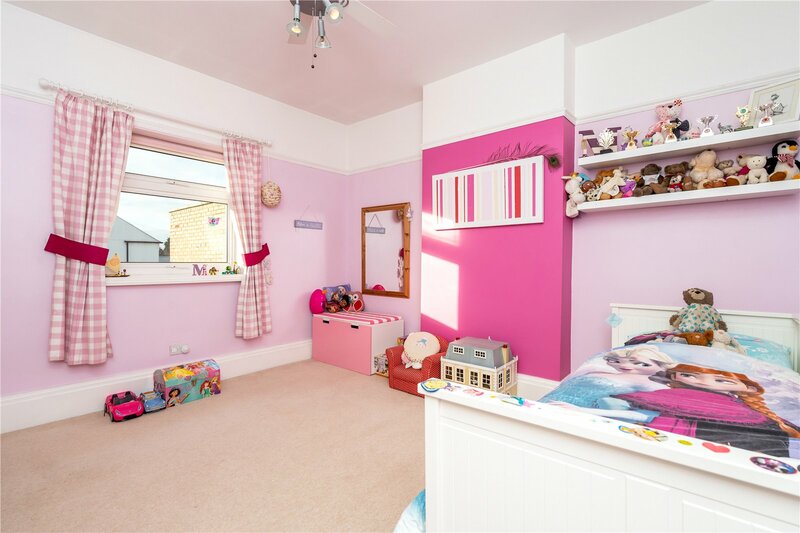 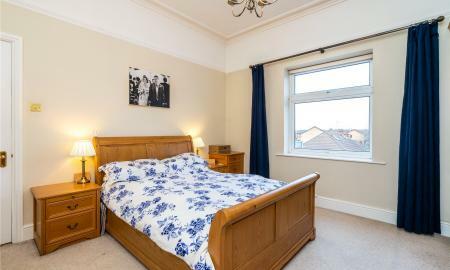 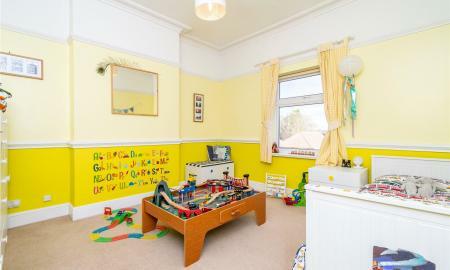 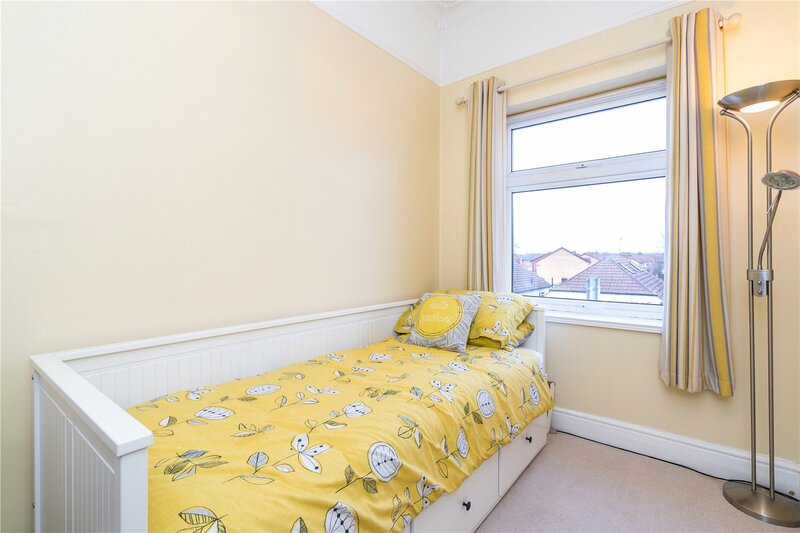 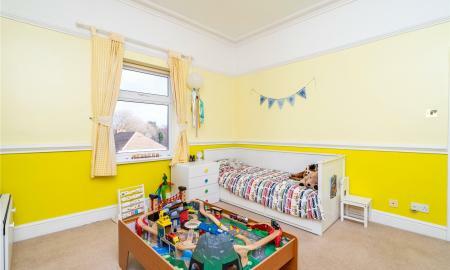 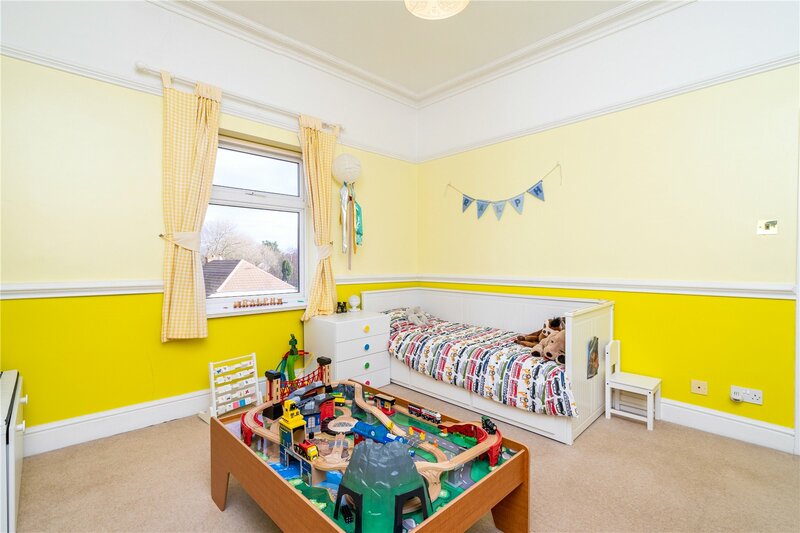 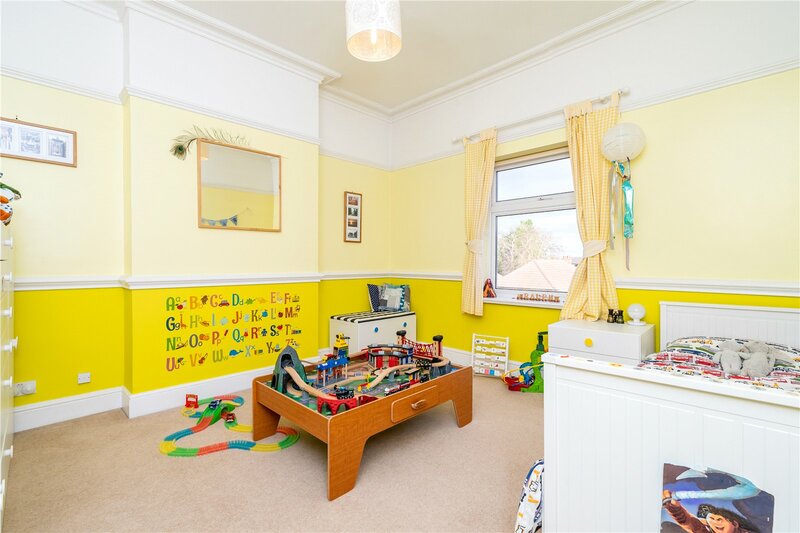 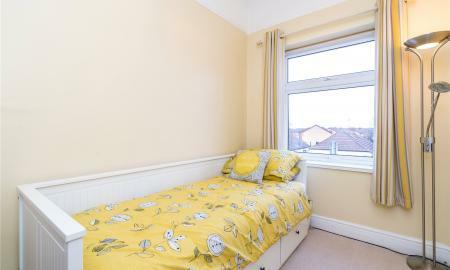 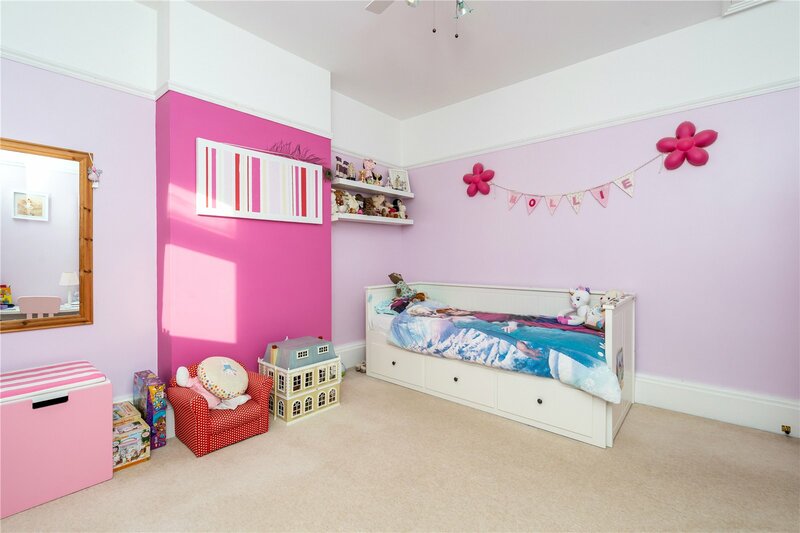 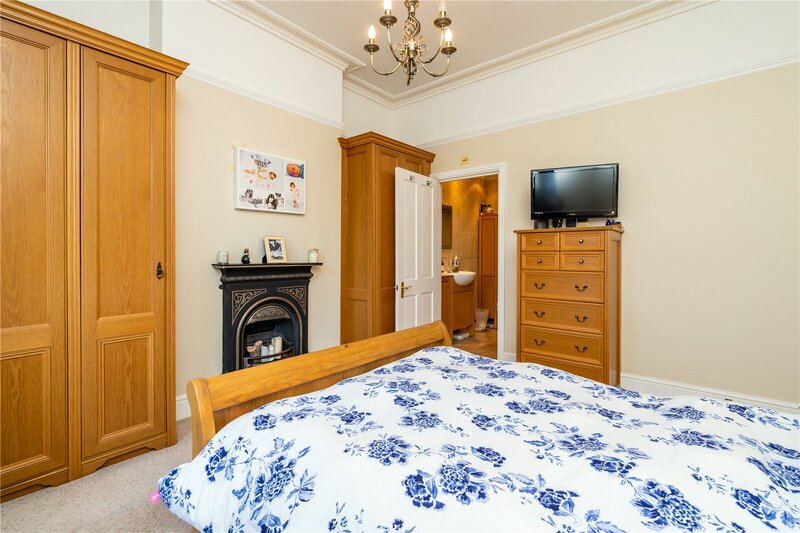 A spacious fourth bedroom with picture rails, coving to ceiling and UPVC double glazed window to front aspect. 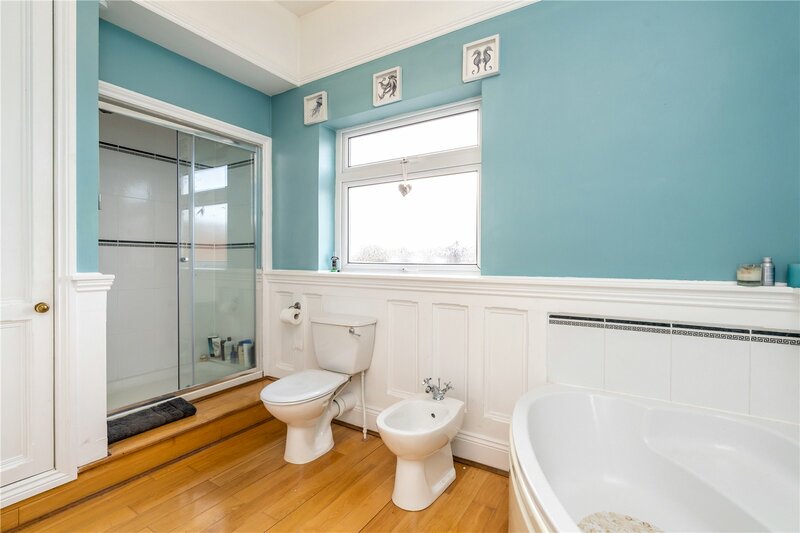 A spacious bathroom comprising of pedestal sink, corner bath with handheld shower, low level WC, double shower unit with thermostatic mixer shower, enclosed by sliding glazed door and bidet. 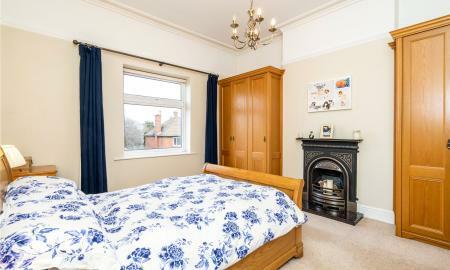 There is also a storage cupboard which formally housed the hot water tank. 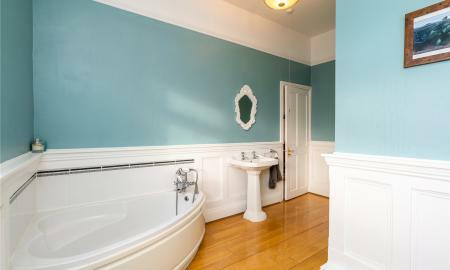 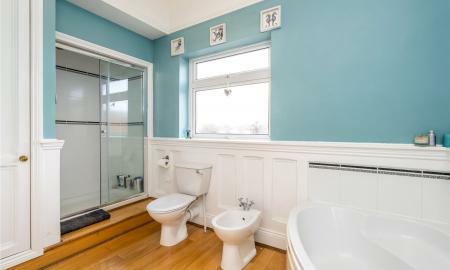 The bathroom is furnished with timber flooring and wooden panelling to walls. 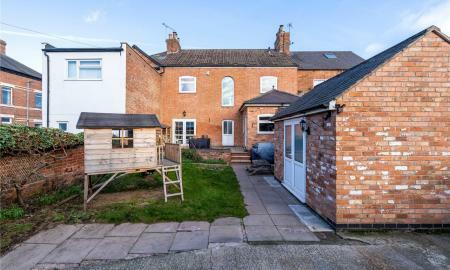 There is off road parking for at least three vehicles. 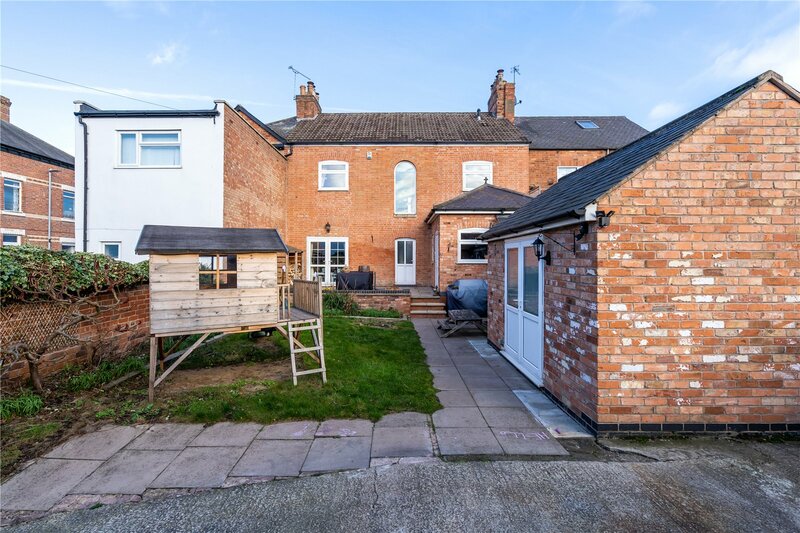 The garden is mainly laid with lawn with decorative borders as well as a patio area.